Mother's Day is tomorrow, and for many of you, that means that your significant other will be taking you out on a date to thank you for the hard work you do every day, simply by being a mom. Dates can be quite costly, yet even once married, its important to keep the spark in your marriage alive. Being cheap at the expense of your marriage is not a wise thing to do; divorces are much more expensive than any concessions you make in frugality for the sake of your marriage. Because of this, I do not suggest forgoing dates entirely, even if money is very tight. The goal of a date is to reconnect, to put aside the mundane details of daily life and focus on enjoying each other's company, doing things you enjoy. 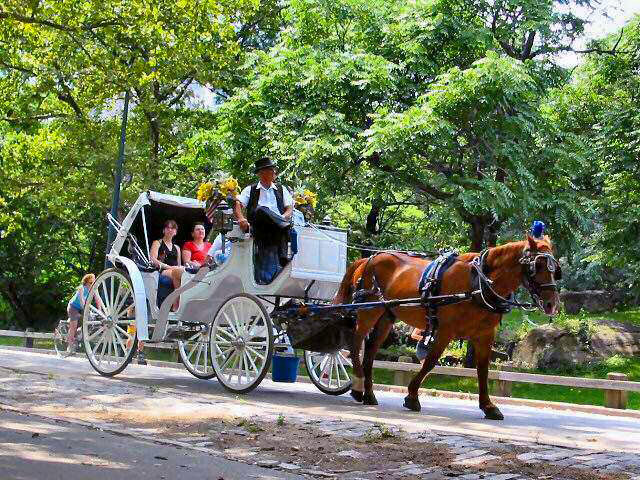 To accomplish this reconnection between your spouse and yourself, you needn't spend 50 dollars on a horse drawn carriage ride around Central Park. Sure, that's romantic, but there are many other things you can do that are just as romantic, without needing to shell out that cash. Cook your favorite dinner. Even if this dish is not the most frugal meal, making it at home is still cheaper than getting it from a restaurant. Candlelight. Candles are relatively inexpensive and are an easy way to instantly make the atmosphere more romantic. Board games. Simply playing a game of Scrabble or a card game (or whatever other two person games you have in your house) can be a great way to have fun with each other without breaking the bank. Massage. Back, neck, foot and facial massages are just some of the many types of massage that you can perform on each other. It's very relaxing, romantic, and free! Youtube has many instructional videos on the subject, if you need a little "how to", as does MassageNerd.com. Movie Night. Instead of going out to the theater, bring the movie home. Rent a video from Netflix (cheaper than Blockbuster), or better yet, get one from the public library or find one on Youtube. (With Youtube, you can easily find older movies- new ones, not so easily. The easiest to find are the made for TV movies, as those have no copyright- as far as I know- so many are uploaded.) Whip up a batch of popcorn, and you're all set to go. Just dim the lights, snuggle up together on the couch, and enjoy the show. Cook dinner together. Whether you're both pros in the kitchen, or far from it, spending time together making a meal can be very romantic and enjoyable. Free Babysitting. Switch off with a friend or relative- one evening, you watch their kids so they can go on a date, one evening they watch yours so you can have your date. You both get free babysitters this way. It pays to be neighborly. Picnic. Instead of going out to a restaurant, bring along a basket or cooler filled with delicious homemade food. Sandwiches, deli style salads, chicken cutlets, and watermelon are all a decent idea. Even going all out for a picnic will still be cheaper than a restaurant meal. Last time we did this, we brought along two bottles of champagne in addition to all the fancy food, and still only paid half of what we would have spent getting a cheap meal at a nice restaurant. Nature usually is free. Creek wading, hiking, z meadow filled with wildflowers, or walking barefoot on the beach are all romantic locations that usually cost nothing. While entrance to a mall is usually free, it isn't a good location for a cheap date as window shopping encourages spending. Boardwalks are also other options for romantic free dates. Do you have dates with your spouse? What is your method of dating without breaking the bank? This is part of Works for Me Wednesdays.